The Hunter’s Moon, “The Killing Moon” and Echo & The Bunnymen – What's It All About? As someone who wore a car coat in the mid 1960’s, I should point out that mine had large checks and a fake astrakhan collar, which made a very brave wee boy. It was the last item of clothing bought for me in the company of my mother. Around the time of the Summer Of Love, I’d ditched it and wore a reefer jacket or a World War II US officer’s coat (see below link) without the insignia. Hip as anything! Wow – that’s a big jacket for a little comments box. Not sure how you did that but thanks for sharing. Your original ’60s car coat sounds as if it was more from the latter part of the decade whereas I think those short coats the boys all used to wear (with their dad’s old trousers) in the ’80s were from the beginning of the decade. Whatever, I certainly didn’t see Echo & The Bunnymen in checked coats with astrakhan collars! 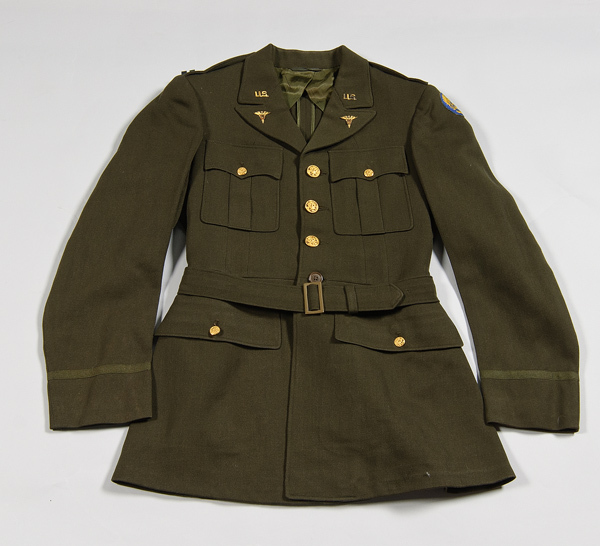 As for the WWII jacket, yes I remember students wearing them around that time which looked incongruous with the long hair and flared jeans (but maybe that was the point). When I was a student, the film Private Benjamin came out and I took to wearing a khaki American army shirt and khaki trousers – From Robert Rae in George Street! Is that shop still there? Sorry – thought it was just the link to the pic that I’d posted. Robert Rae’s long gone from George Street (as have most small stores) and I think they had a shop on Marischal Street too. That’s ok – it seems that like with the YouTube clips, the visual comes up and not just the link. Good to know for future reference. Of course Robert Rae has gone – where we used to get our student clothing supplies and our “piece bags”, those blue canvas bags used for books (and pieces). Terrific essay. I liked reading about the guys who dressed in Echo’s style. And then I liked reading about First Man, because It hadn’t even dawned on me that this new movie is a perfect fit for your moon stories. Anyway, I’m not sure that nobody will attempt a moon landing again. Maybe China will. Yes it was a bit of a coincidence that the movie came out just as I had completed a whole year of full moon posts and after I’d read about Armstrong in the Moondust book. You may be right – I suppose the technology is there for a moon landing nowadays as opposed to back in the ’60s when they were having to make it up as they went along. True pioneers of which we will never see the like again. What – you mean that it didn’t actually take place in the Nevada desert?!? Ha ha – Yes I wrote about that theory a few months ago but no, having read the book Moondust and watched the film First Man I am now totally confident it did all happen – They were brave souls those first moon walkers. At the time they didn’t even know what the surface of the moon was like – They could have landed the lunar module and just sunk into the moon’s surface like on quicksand. Fortunately for them it was just like the Nevada Desert (thus the conspiracy theories!). Armstrong and Aldrin were told their chances of coming back were no more than 50/50. We should never forget that. I remember that from the book – Brave boys indeed. I can absolutely imagine your boyfriend in the Echo & the Bunnymen chic, I went to college with several too! And we all – male and female – got through a lot of hairspray…. One of my old schoolfriends saw them at the London Palladium last week, she said Ian still has hair but no longer massively high. I read once that the key to getting it so high was to hang his head upside down when drying it having tried that myself a few times too I can confirm it worked! The big old coats too… I do love a good coat/big jacket (both for myself and on men)…absolutely love the one Lynchie pictured. I still go weak at the knees at a man in a Reefer jacket (check out Jack Nicholson in The Last Detail). Oh yes it was definitely the look of choice for a certain type of young man back then. Drying the hair upside down works for a certain type of hair but my very fine hair just flopped the minute there was a bit of dampness in the air. I’ve seen the boys ask for a bowl of sugar water in a bar to get the hair upright again – ’twas the times. I had a fair few old coats myself – A fur one in 78/79 which I adored at the time but different times and I couldn’t wear it now. It was vintage even back then though. I also had a big checked jacket that probably belonged to someone’s dead grandad but I loved it too. Will have to check out Jack Nicholson in that jacket but I’m pretty sure I know the one you mean. I seem to have repeated myself a lot in that reply – A certain type of young man and a certain type of hair – A check jacket and having to check out Jack! In a hurry though so being sloppy – My mum still in hospital so I’m off the see the Freddie Mercury movie. Might be the last time I’m free for a while. More moon posts… woo-hoo! Ian has never had a confidence problem, has he? Some days I admire it, and I might even be with him on the Killing Moon. Looking forward to reading about your trip. Don’t forget to take care of yourself. Indeed – a lovely full moon in our skies last night again (well maybe with a smidgen removed but still beautiful). Yes, I read somewhere else that Ian really said that just to “big up” the song, to make others take note of it and perhaps by osmosis, think the same way! A good trip away just before we get to the sharp end, in terms of my current family dilemma – I know you’ve been there so will understand. Just wanted to let any comments followers to this post know, I have now added a Postscript with two pictures of a “moonbow” which apparently appeared in our skies on the night of the full moon. Something I had never heard of before but very beautiful. As I said above, this is the series that just keeps on giving. Glad you found a way to keep this series going and that you had a nice break. This is another song which often crops up very effectively in spooky soundtracks, so it’s an appropriate choice for Halloween week. Yes, as I say every year is going to be different and so many “moon-related” songs not yet featured. When I wrote this post I wasn’t even thinking about Halloween but it has crept up on us hasn’t it. DD not so involved nowadays but I did have to help her with her costume this morning – Not for trick or treating/guising but for a big (probably drunken) bash for 20-somethings. Changed days! You have become a “lunar-tic” lately, ha-ha. Love the moon talk and the song selection. Echo and the Bunnymen are coming to Boston next month, I might go see them. Indeed I have – Great moon in our skies tonight actually but a waning gibbous now (I have all the jargon off pat now). Gosh they are certainly getting about a bit – C (above) had friends who saw them in London recently and I have friends from here who were due to see them in Dublin the other week, but due to a problem with their plane, they got there too late and missed the show! Hopefully you will get to see them in Boston. Previous Previous post: A Star is Born: Judy, Gaga or Barbra?